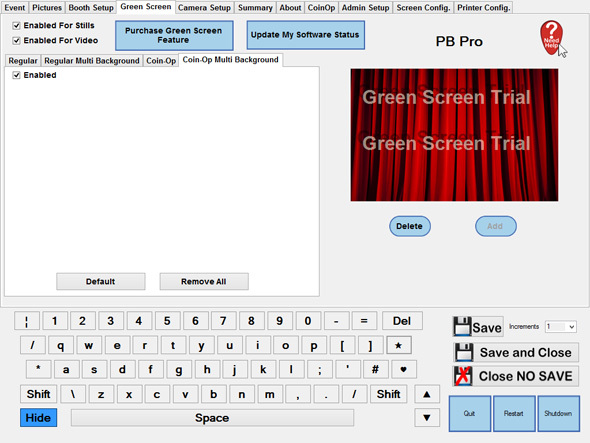 To enable Green screen tick either the Enabled for Stills Checkbox or the Enabled for Video Check box. 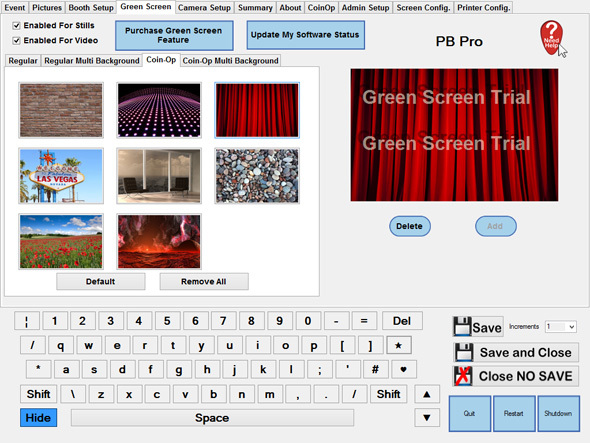 Thumbnails of the Green Screen options that will appear on screen for the User are shown. 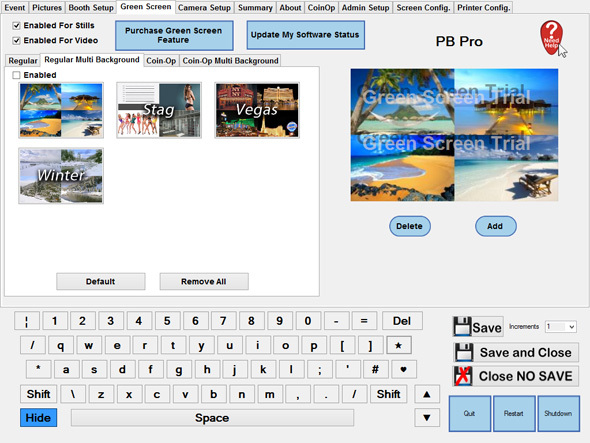 If you select one of these green screen’s you can Delete it and/or Add another one. When clicking Add (if an available slot is present) it will present you with a Dialogue Box to choose a different image. The Top left of the window there is a Green + icon, clicking this allows you to navigate to other images to add in as green screen backgrounds. 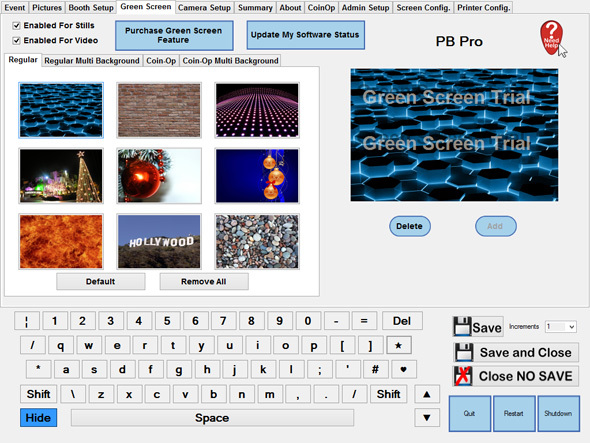 Similar to the Regular Single Green Screen’s is the Multiple option, these are pre-determined images that are replaced when the user selects the multi option. If you would like to create your own Multi Image click on Add and then either select a previously create Multi Image or if you Click the Green + you will presented with a window to create your own Multi Background (like below). In Coin Op and Coin Op Multi Background the options are the same as above but refer specifically to being in Coin Operations mode. These options may not be available if CoinOp mode is not enabled.